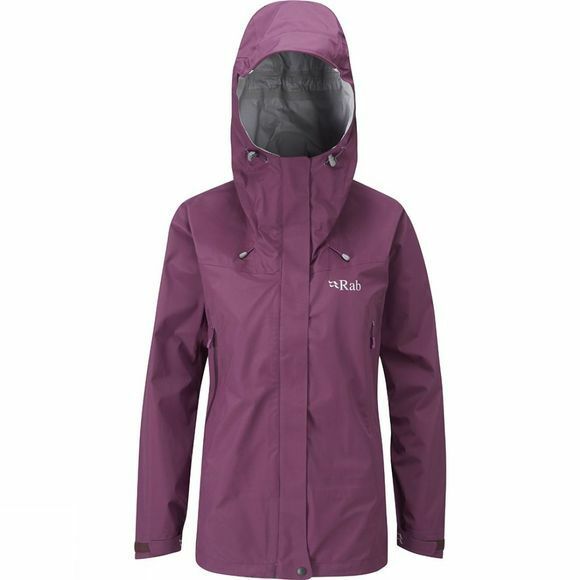 The Women's Vidda Jacket has been a regular within the Rab waterproof range for several years and continues to offer extremely high levels of durability and breathability. It features heavier-weight eVent fabric over the shoulders for better durability when using with a pack while the slightly longer body cut offers increased protection against the elements. The hood, hem and cuffs are fully adjustable so you can get the perfect fit to keep the weather on the outside even in windy conditions and yet it is still light enough to pack away during dry days out on the hills.